We’re hosting an Afternoon Tea Blouse sew-along and hope you will join us. We will be kicking it off on Monday, March 25th, and it will run through the third week of April. Learn more about this style by visiting Liesl’s post introducing the pattern. Need inspiration? Browse our Afternoon Tea Blouse Pinterest Gallery before you start! For this sew-along, we’re taking it slow. We’ll start off with two weeks of preparation where Liesl will provide some additional information about gathering your materials, selecting your size, altering the pattern for your shape, etc. We want to make sure you sew the best blouse, and we’ll walk you through the process to ensure that happens! The actual sewing will begin on Monday, March 25th. So you’ve got lots of time to purchase your pattern (available in paper or digital format) and fabric before we start. Will you be joining us for the sew-along? 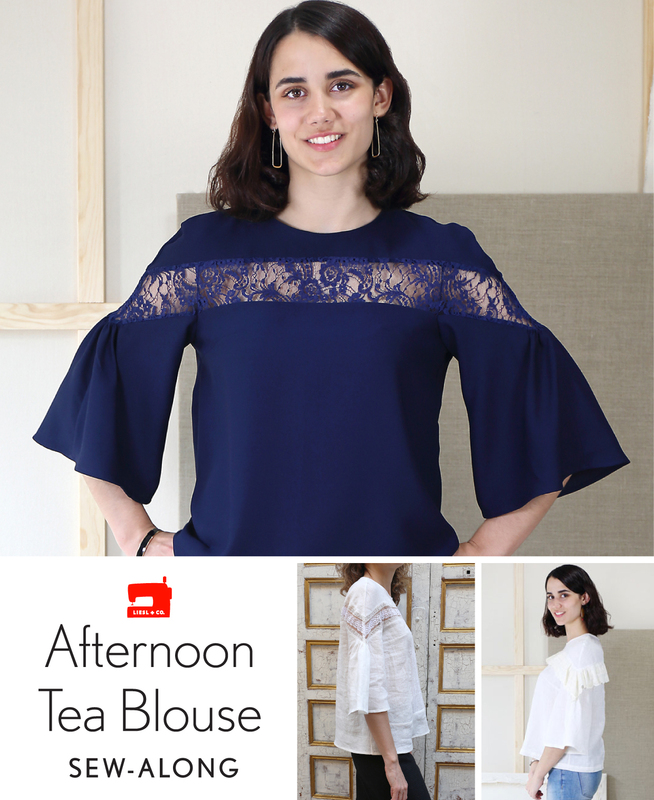 Show us your Afternoon Tea Blouse by tagging your Instagram photos with #afternoonteablouse and #lieslandco. We cannot wait to see your blouses! And be sure to order your pattern now so you’re ready to go next week. You can get it in either paper or digital format.